The study of puppet theatre performances watched by more than 14,000 children and 16,000 adults at Yorkshire's Flamingo Land, showed a 22 per cent increase in the accuracy of knowledge relating to animals and their conservation in children and an 18 per cent increase in adults. Dr. Sarah Spooner, who completed the research as part of her Ph.D. at the University of York's Department of Environment and Geography, said: "Since the value and ethics of live animal performances at zoos has been brought into question, zoos have been looking at new ways to deliver 'edutainment' to a broad audience. "Theatre using puppets has proved a popular way forward, but we wanted to know whether this format makes a difference to what visitors learn about animals and conservation. 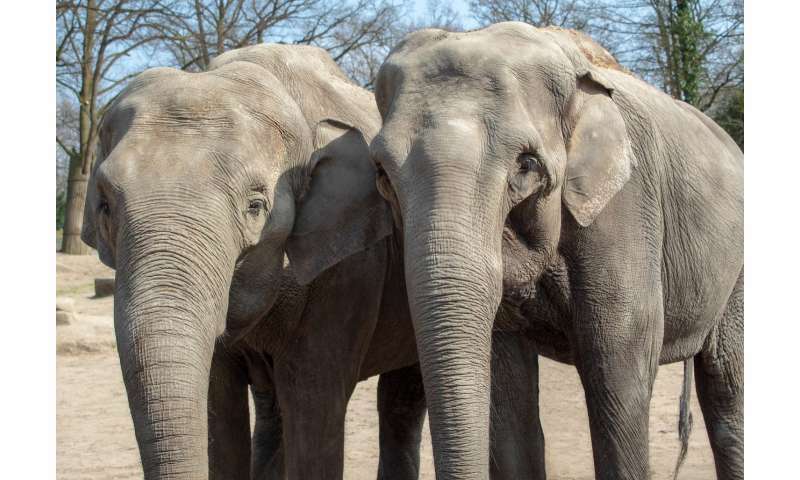 "We examined the impact of the 'Mia and Mylo Show' at Flamingo Land, which conveyed basic animal facts and information about conservation work in Tanzania and captive animal breeding programmes." Through audience questionnaires the team looked at the knowledge that both adults and young children had about animal behaviour and conservation work before they viewed the 'Mia and Mylo Show' and what knowledge they had following the performance. They found that both adults and children gave more correct answers to the research questions following the theatre production—a 22 per cent increase in children and a 18 per cent increase in children. Dr. Andrew Marshall, from the University of York's Department of Environment and Geography, said: "With hundreds of millions of people visiting zoos across the world each year, global conservation organisations emphasise the essential role that zoos play in inspiring next generations of environmentalists. "Zoos have played a huge role in inspiring children to pursue careers in conservation, including me. However, we all learn in different ways, so if conservation educators use multiple approaches to get their message across, we will all learn a lot more about animals and how to help them survive." The researchers acknowledge that as this study was based on one organisation, which is both a zoo and a theme park, more work is needed at various types of zoos, both in the UK and internationally, to get a more fulsome picture of how theatre can be used to increase knowledge of global conservation and its potential for altering behaviours towards the natural world. Dr. Louise Tracey, from the University of York's Department of Education, said: "We now know that learning can be achieved in an entertainment-driven setting, such as Flamingo Land, so it is reasonable to assume that conventional zoos can achieve similar levels of learning. "It is unlikely that visitors went to the zoo with specific learning objectives, so it is significant that such an increase in knowledge can be achieved across the different age groups." Dr. Spooner added: "We hope that these findings will be used to help other zoos develop theatre performance that enhance visitor knowledge of conservation issues without compromising their overall leisure experience." Zoos talk, but do people listen?